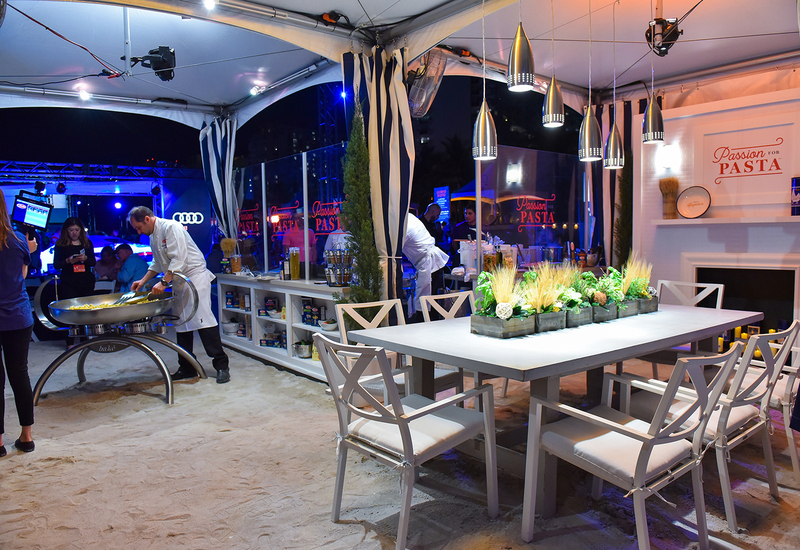 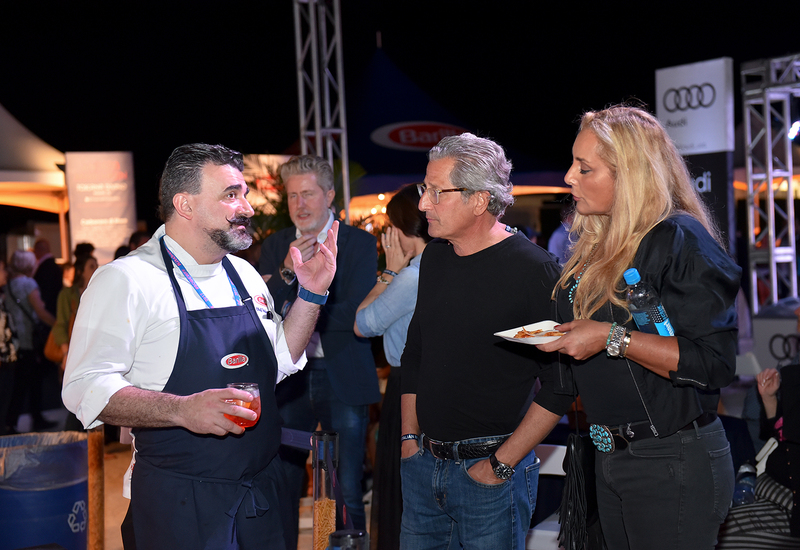 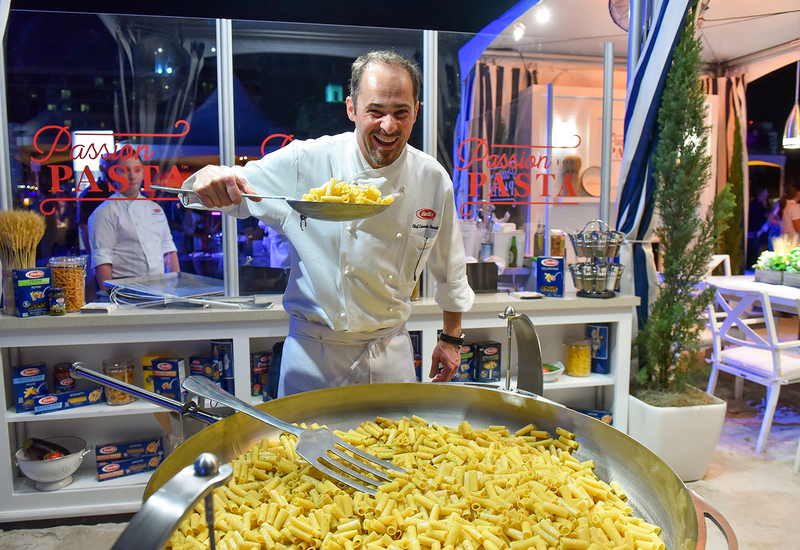 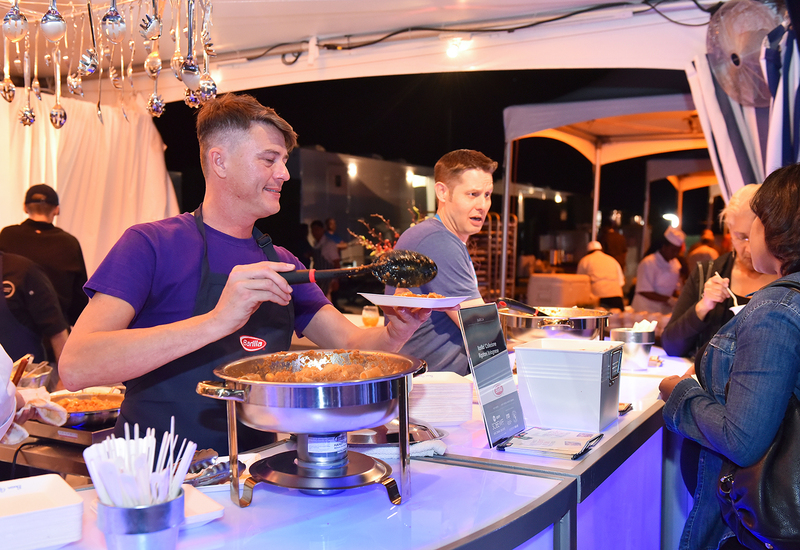 Barilla brought a taste of the old country to Miami Beach last month as title sponsor of the South Beach Wine & Food Festival, this year Feb. 22-26. 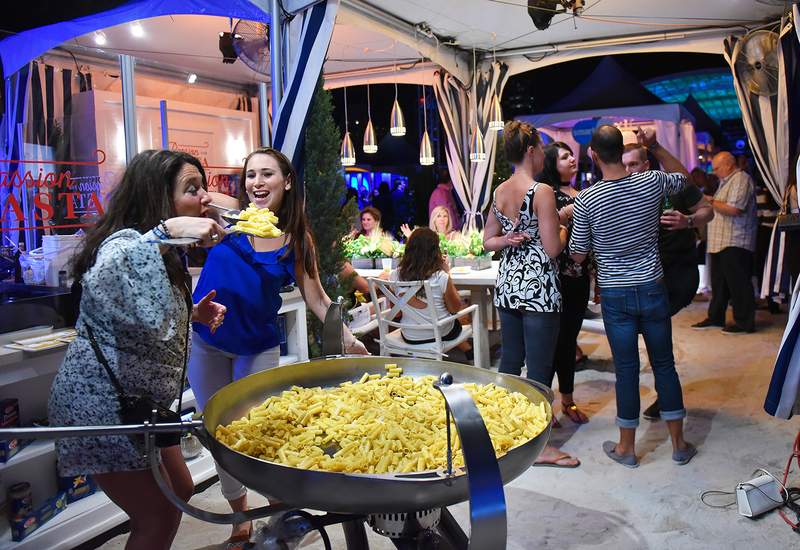 Activating two footprints, the brand aimed to showcase the value of sharing a meal with friends and family, while simultaneously increasing the relevance of pasta, which has been on the decline over the last several years. 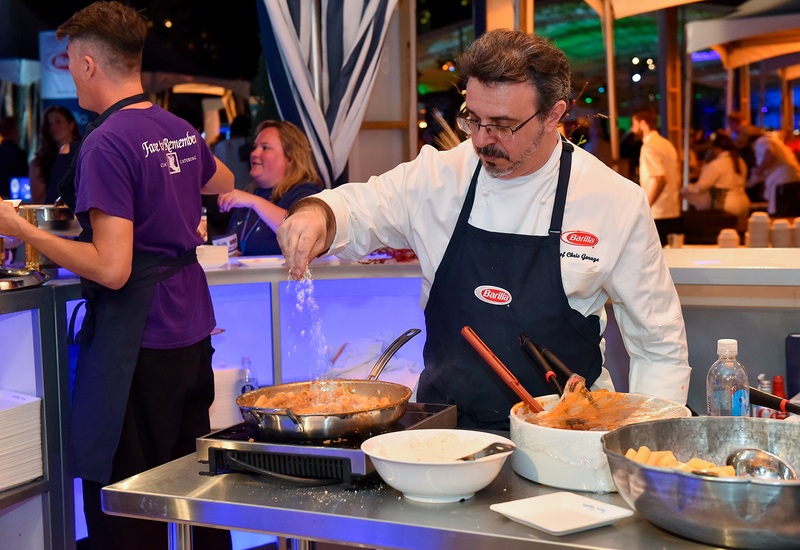 By day, Barilla focused on its product portfolio with education-based demos led by the brand’s executive chef, Lorenzo Boni. 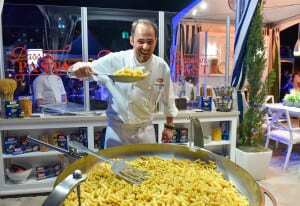 At night, the engagement was amplified at a luxurious tent on the beach that replicated a typical home setup, including a dining room arrangement where attendees could share one of the pasta dishes being whipped up on-site by Boni and his team. Each night had a different theme and bites to match—Italian, Burger Bash, Spaghettata (spaghetti party) and Asian. 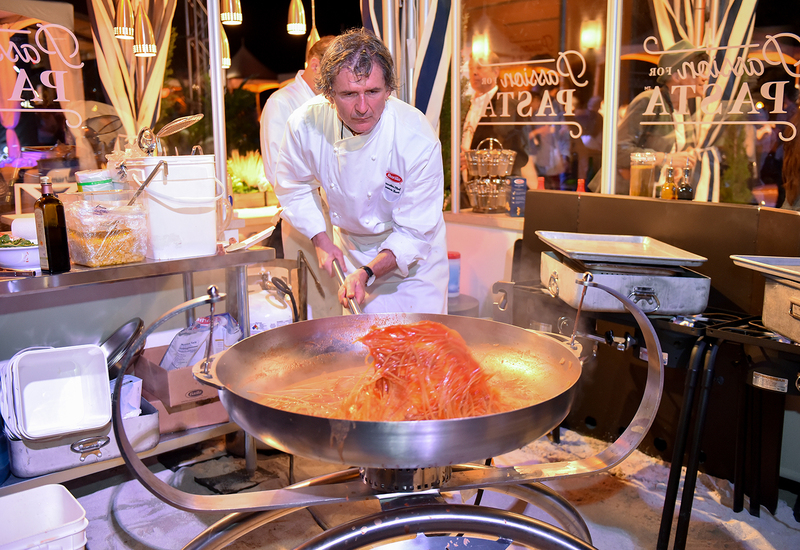 The experience also featured a Tagkast photo op with oversized cutlery and a larger-than-life pan dubbed “La Pentola” (literally “pan” in Italian), which chefs used for cooking on-site. 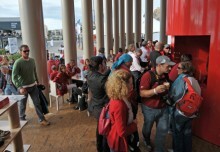 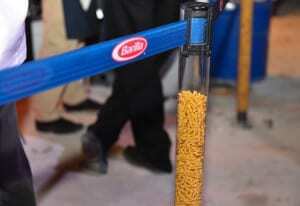 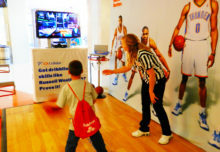 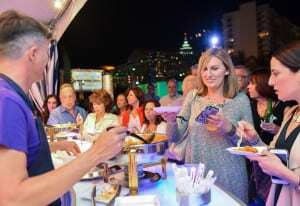 A critical component of the sponsorship was the activation’s inclusion of real Barilla employees. 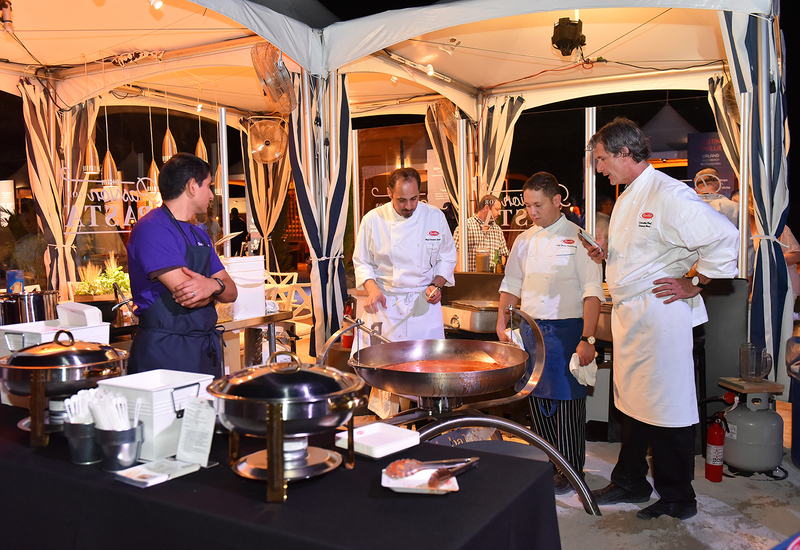 In addition to having the opportunity to speak with (and snag cooking tips from) the brand’s executive chef, attendees could have one-on-one conversations with other employees. 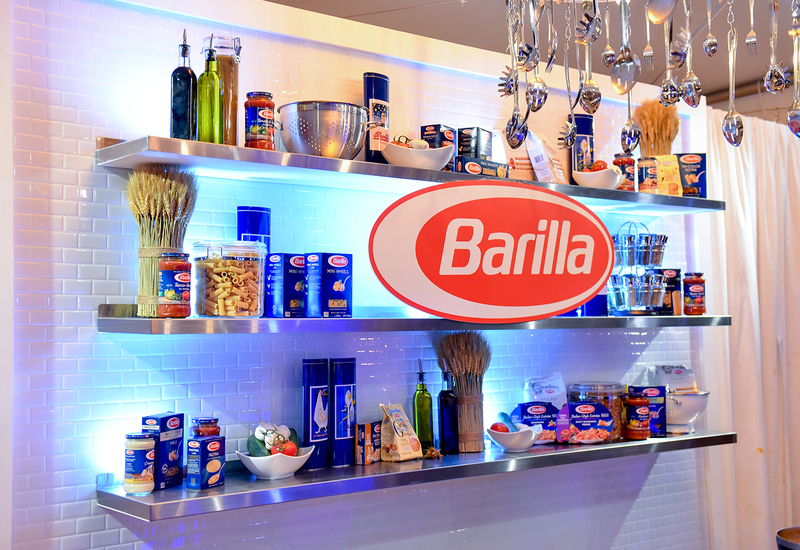 “It’s a closer way to engage when you’re speaking with people that actually live and breathe the Barilla brand,” says Prita Wadhwani, head of marketing communications at Barilla America. 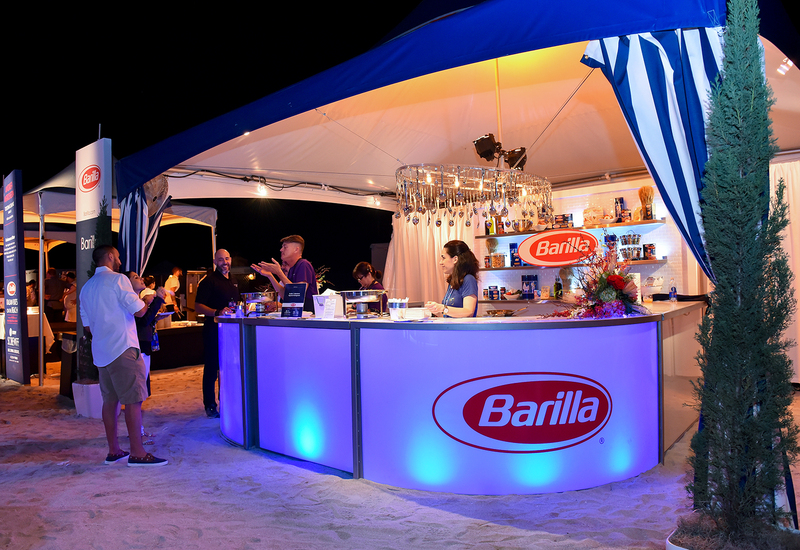 The brand also focused on the design of its footprints, offering an authentic Barilla vibe with a hint of South Beach flair mixed in. 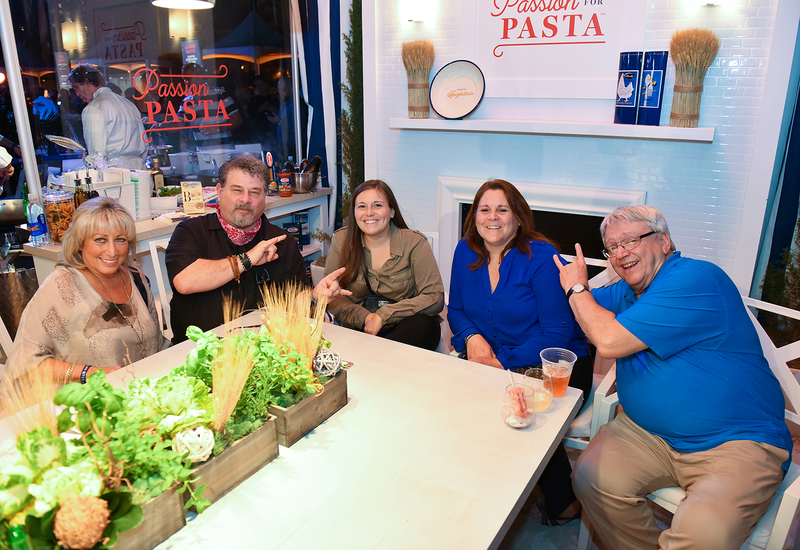 The spaces were specifically designed to encourage attendees to participate in a “Spaghettata,” a popular Italian custom that serves as an impromptu spaghetti party in which friends and family (or strangers, in this case) gather to share a meal. 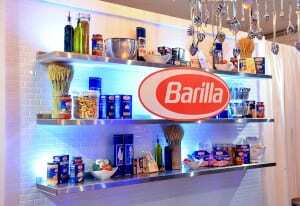 For the larger footprint, that meant including a cozy dining area featuring homey touches like flowers, a mantel and shelves featuring spices, sauces and Barilla products. 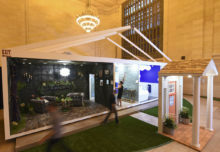 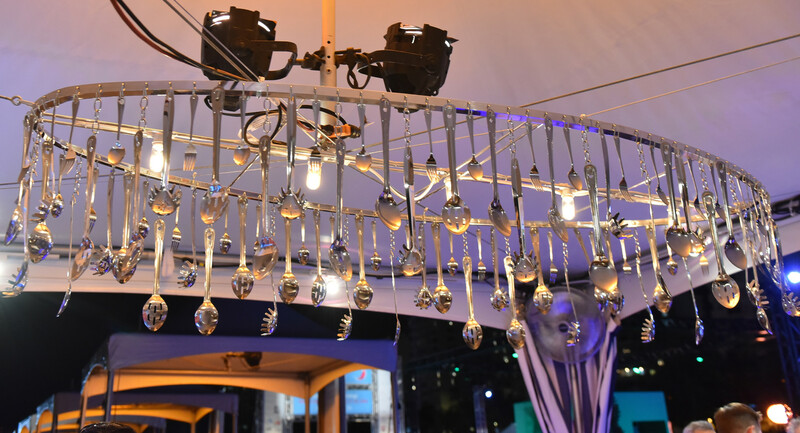 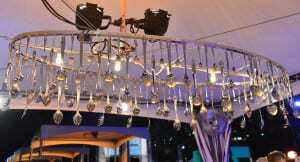 The smaller footprint followed a similar, kitchen-themed design aesthetic, including a large chandelier comprised of cooking utensils that, according to the brand, became a major draw for attendees. 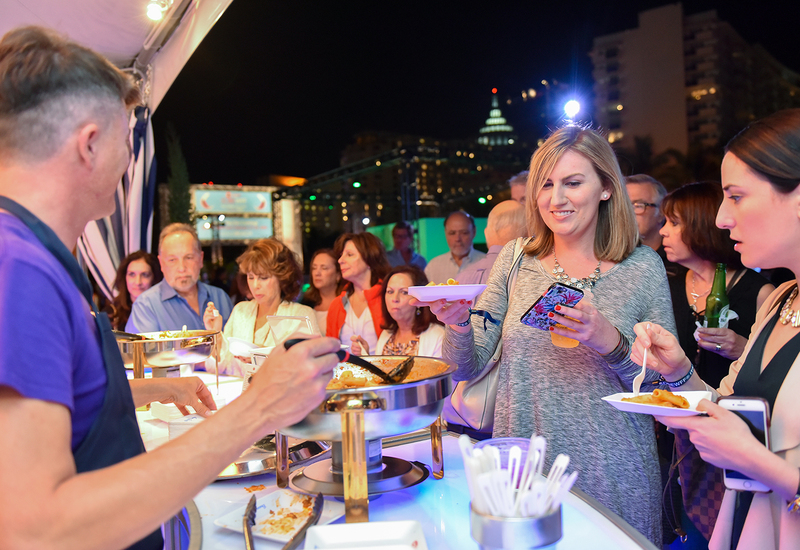 “Food is not just about filling your belly; it’s about nourishing your soul,” says Wadhwani. “And those life moments are happening at the table. 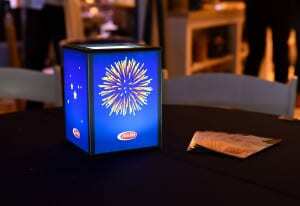 That’s why we really try to incorporate the table. It’s symbolic but it’s also a live example of strangers sitting together and talking and enjoying good food. And that’s at the core of who Barilla is.” Agency: SoHo Experiential, New York City.